Without warning, Washington state’s Department of Corrections (WA DOC) enacted a policy banning direct book and comics donations from nonprofits to people incarcerated in the state. WA DOC claims this change is necessary to due to lack of resources available for checking materials sent in for contraband and inappropriate content. 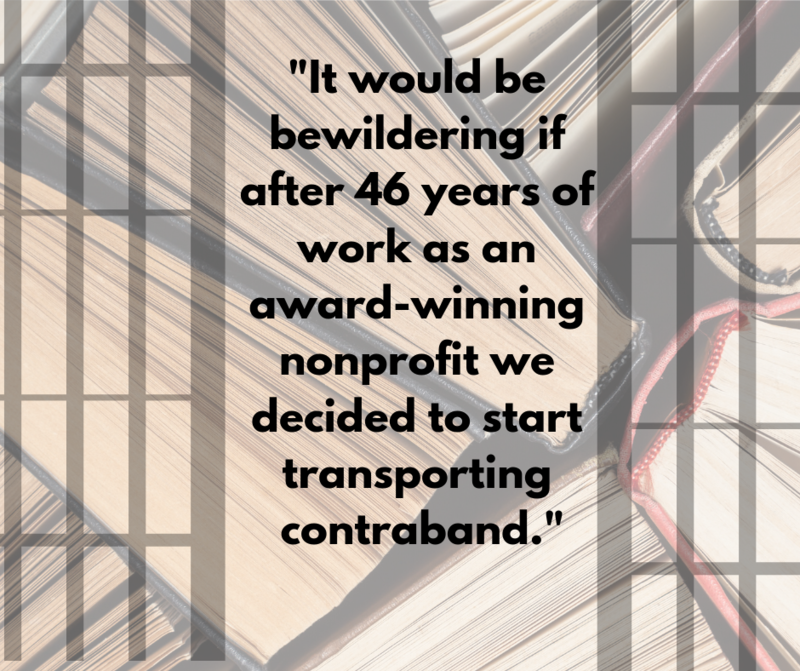 Books to Prisoners, one of the nonprofits aimed at getting reading materials to prisoners, is not going to accept this directive without a fight. This policy unreasonably reduces individuals access to books in prison. Prison libraries are woefully understaffed and underfunded, and the time prisoners are allowed to spend in the library is limited. 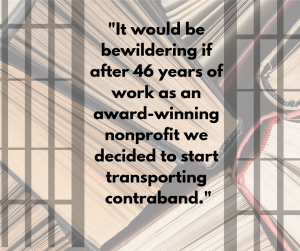 Some of the most frequently requested books from nonprofits are dictionaries because the prisoner can utilize them more effectively in their cell than the library. Prisoners also often ask for books to help them learn or improve a second language, how to draw, and other manuals that provide them a constructive way to spend their excess of time. This is not the first time a state has tried a ban like this. NY attempted a similar ban, and it was rescinded after public outcry. Then again in Pennsylvania, the PA DOC blamed book donation programs for security issues, namely a possible K2 (a synthetic cannabinoid) contamination that may have made guards sick (or may have been mass hysteria). Again the overly restrictive policies were rescinded because of public outcry. Jensen put together a list of resources for people interested in reversing this decision, including contacting Prisons Division Correctional Manager Roy Gonzalez, signing Books to Prisoners petition, and donating to the nonprofit to help them fund this battle. The censorship prisoners experience with these types of bans is destructive. Reading, whether for fun or self-improvement, is educational. Education is closely linked with reduced rates of recidivism. If people are supposed to believe that correctional institutions exist to rehabilitate individuals, then they need to stop trying to remove access to literature and of creating roadblocks to education under the guise of security. Unfortunately, it’s becoming more apparent that these policies are punitive in nature, and their end game is not beneficial to the inmates or the rest of society.